Kick back and look good doing it with the Linger collection. Lower to the ground and slightly reclined, Kelty's Linger Get-Down offeres the ultimate in outdoor comfort and convenience. 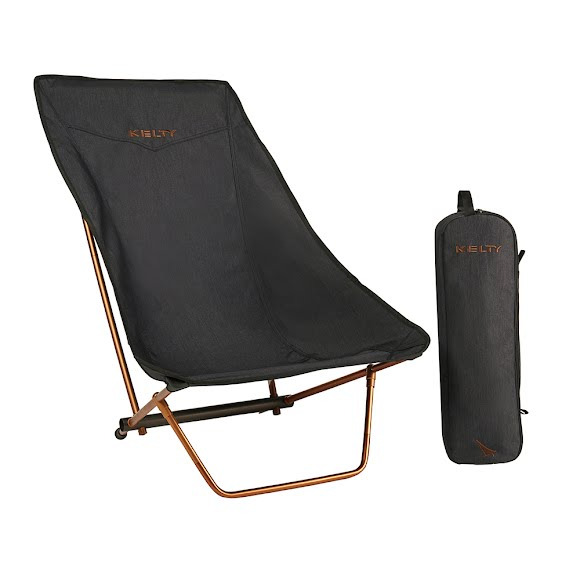 The festival-friendly seat height and compact carry bag makes it easy to take anywhere, and the collapsible anodized aluminum frame is lightweight and strong. Kick back and look good doing it with the Linger collection. Lower to the ground and slightly reclined, Kelty &apos;s Linger Get-Down offeres the ultimate in outdoor comfort and convenience. The festival-friendly seat height and compact carry bag makes it easy to take anywhere, and the collapsible anodized aluminum frame is lightweight and strong. And, the built-in padded headrest ensures you&apos;ll be comfortable getting lost in the music all day, or pondering the stars all night.